Lalu Prasad claimed that a proper investigation would find the quantum of the fraud to be hundreds of crores of rupees. 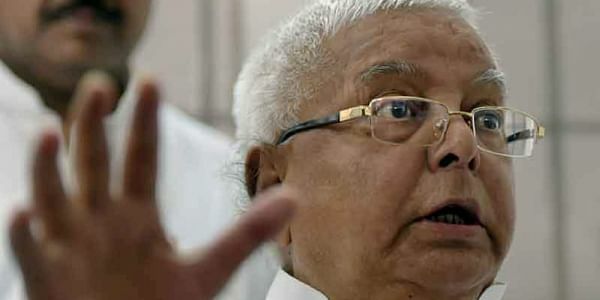 PATNA: RJD chief Lalu Prasad today demanded a probe into an alleged toilet construction scam in the state, claiming that a "proper" investigation would find the quantum of the fraud to be hundreds of crores of rupees. Mocking Chief Minister Nitish Kumar's claim of "zero tolerance" towards corruption, he said, "More than a dozen scams have occurred in his current tenure that included mega scam Srijan, toilet construction scam, Mahadalit scam, scholarship scam, toppers scam." Prasad said whenever any scam surfaces, Kumar talks of setting up a high-level probe committee with his "so-called resolve to punish the guilty at any cost", and also questioned the CM's continuance in power.